AC Delco's ARM601-3 3/8 in. Drive 2 - 37 ft-lbs. 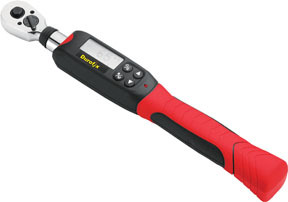 Digital Torque Wrench provides ideal controls with pre-set Peak or Trace modes for mechanics to tighten objects to a specific torque value.